Pair of white bronze buckles used for breeches or neck stocks. The original was found at Ticonderoga, NY. Made of white bronze including the fork & pinner. 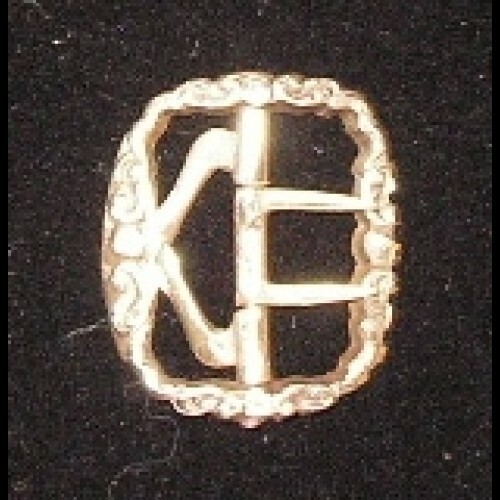 The buckle has some definitive fine carvings around the ring. Measures 1 1/4" x 1" on the outside of the ring and 1" on the inside. Sold as a pair; you will receive two buckles. These are period-correct buckles.